MEEKINS INSURANCE SERVICES | Blue Value, Health Care Reform, Obamacare Affordable Quotes, BCBSNC, blue cross blue shield nc, blue cross blue shield north Carolina, dental insurance, family, group health insurance, group insurance, group plans for businesses, health plans, individual health plans, medicare supplement, advisors, authorized agents, expert, professionals, firm, company, North Carolina, Apex, Asheboro, Asheville, Beaufort, Burlington, Cary, Chapel Hill, Charlotte, Concord, Durham, Elizabeth City, Fayetteville, Fort Bragg, Garner, Gastonia, Goldsboro, Greensboro, Greenville, Havelock, Hickory, High Point, Huntersville, Jacksonville, Kannapolis, Kernersville, Kinston, Lexington, Lumberton, Manteo, Matthews, Monroe, Morehead City, New Bern, Newport, Outer Banks, Raleigh, Rocky Mount, Salisbury, Sanford, Shelby, Statesville, Thomasville, Wilmington, Wilson, and Winston Salem. Blue ValueSM features a limited network of providers for savings on your monthly cost. Blue Value is a good fit for those who want savings and don’t have a strong provider preference, or whose provider is already in the limited network. The blue shaded area on the map represents the network coverage for the Blue Value network. 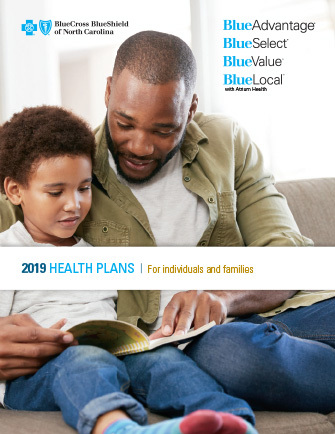 Like Blue Advantage, Blue Value offers two types of payment coverage options for medical expenses: copayments, and deductible and coinsurance plans. These are the same flexible payment options as Blue Advantage, but offered on a limited network to save you money. Copayment plans offer a fixed copayment for things like primary care office visits and prescriptions. These plans are ideal for someone who wants predictable costs. While you’ll know what you’re going to pay with copayment plans, they come at a higher premium. Deductible and coinsurance plans have lower premiums than copayment plans. If you don’t expect a lot of medical expenses and want to save money on premiums, these may be the plans for you. For these plans, you pay the full cost of your medical expenses until you meet your medical deductible. Then you pay a coinsurance percentage, sharing the cost with Blue Cross NC until you reach your out-of-pocket limit. After that, Blue Cross NC pays all covered costs. For more options for your budget and needs, some plans offer a combination of copayments, and deductible and coinsurance. Certain plans are also eligible for an HSA. When you need to pay for eligible medical services, you can pay for them with your HSA funds. Your HSA rolls over from year to year. That means you keep what you put into it. It’s your HSA – it’s your money. All plans have an out-of-pocket (OOP) limit of a maximum of $7,350 or less. Get a Free Quote From Meekins Insurance Services With No Obligations! 2. HSA contribution amounts are limited to the amount established by the IRS for each year for single or family coverage. 3. Certain preventive care services are covered at 100% before deductible when received in an in-network office or out-patient setting. Other covered services may be subject to deductible and coinsurance. When you receive preventive care out-of-network, you may pay more. Visit bcbsnc.com/preventive for a full list of preventive services. 4. The Center for Consumer Information and Insurance Oversight. Centers for Medicare and Medicaid Services. “Actuarial Value and Cost-Sharing Reductions Bulletin.” http://cciio.cms.gov/resources/files/Files2/02242012/Av-csr-bulletin.pdf. Accessed April 29, 2013. 5. These are approximate values with a +/- 2% variation.